June is often thought as the beginning of summer. Beaches, bikinis and play in the sun come to mind. Folks spend weeks, months and lots of money to change their appearance. I’m all about change and goal setting. But there is a lot more with which to be concerned than the physical. This month I highlight three of my patients who did the necessary work to create major change that has positively impacted their health. I call such folks “medical advocates.” They have truly done their research, and they never stop short of their goals. Medical advocates are heroes who remain in the driver’s seat when it came to their health. RP was a successful business woman in the fast-paced staffing business for 30 + years. She retired a year or so ago at the age of 66. It was time for change. “I needed to de-stress, lose weight, exercise and eat healthy.” After four decades of progressive weight gain, this task was more daunting than expected. When we started working together, it was obvious that there was more at stake than her weight. Her blood pressure was moderately high, her cholesterol was not only elevated, but we learned through specialized cardiac testing that she had the unfavorable small dense LDL particle size. This increases her risk of heart disease. We also learned that she carries certain genes that predispose her to heart disease. Click image to watch my Earthing video!There was a complete attitude change and her journey began. She volunteered to join the Earthing Study that I am conducting along with well-known integrative cardiologist Stephen Sinatra, MD. The goal of this study is to examine how earthing (or being grounded) can help lower blood pressure. Losing 50 pounds and multiple dress sizes, RP feels younger and more energetic than she has in years. Her blood pressure is down without the use of pharmaceuticals. Moreover, her cholesterol is better controlled without the use of a statin, and her inflammatory markers are now optimal. Naturally I’m flattered, but I consider myself more like a quarterback. I can throw you the passes, but as the patient and as a true medical advocate, you must be willing to take the ball and run with it. RP has truly evolved to the status of medical advocate par excellence. She is certainly a hero in my book. CT is a busy 55-year-old professional who became one of my longevity patients a few years ago. At the time of our first meeting, he was already in great physical shape, training at least 4 times/week at Gold’s Hollywood. Through specialized lab testing that I routinely perform in my office, we learned that he too had the unfavorable small dense LDL particle size. Such a pattern can easily lead to plaque in our arteries. We focused on a low carb diet along with the supplement niacin to help convert his Ldl cholesterol from small particle size to large particle size. CT went a step further, however, and found that the ketogenic diet made the most sense to him. A ketogenic diet is essentially very high in fat, moderate in protein, and extremely low in carbohydrates. The diet has been around since the 1920’s when it was used to treat children with intractable seizures. CT is a man of my own liking; always searching for more knowledge. While working full time as a key administrator in the LA Unified School System, he earned his EdD. His dissertation focused on the stressful and potentially harmful effects a principal’s work can be. CT concludes that his regular practice of yoga, meditation, weight lifting and nutrition has been a savior for him. click image for bulletproof coffee infoNever one to settle for the status quo, CT has further tweaked his diet which today amounts to intermittent fasting where he skips breakfast. 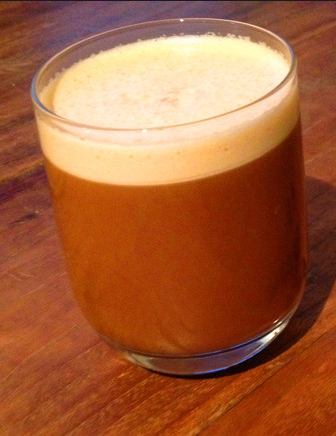 He then has bulletproof coffee at noon (coffee blended with coconut oil and butter or heavy cream). He has his first meal in the afternoon which is high fat and less than 10 grams of carbs. He has a more substantial meal for dinner. He adheres to this diet Monday -Friday, which optimizes his fat burning, and minimizes his muscle loss. On weekends, the first half of his day looks the same, but he adds plentiful carbs for his evening meal. CT clearly has become the ultimate medical advocate. He has gone above and beyond to achieve his desired goal. His lipids and metabolic picture have never looked better. Although I don’t promote one particular diet for everyone, I greatly respect the work that CT has done by pulling in the reins when it came to his health. He is yet another hero whom I salute. THS is a former fitness Pro and has a thriving personal training business. As you might expect, she knows a thing or two about healthy living. For the next 2 years the couple earnestly tried everything possible to get pregnant. This included lots of medications and 3 rounds of in vitro fertilization (IVF), all of which resulted in failure. The physical, emotional, and financial toll was huge. However, in prepping for the embryonic transfer, she was obliged to take a multitude of synthetic hormones. This procedure was attempted multiple times. Finally, after increasing the doses of the synthetic hormones and adding corticosteroids, she was able to give birth to her second daughter. Post-delivery, THS had to deal with elevated blood pressure and blood sugar, major abnormalities in her cholesterol and triglycerides, gut issues, insomnia, extreme fatigue and early menopause. She found disappointment with the medical establishment, as they failed to offer her solutions to these problems other than prescribing her more meds. Dissatisfied with this, she did her own research. The ketogenic diet resonated with her. She started her “keto-journey” 2 months post-partum. A significant drop in both blood pressure and blood sugar resulted. Furthermore, cholesterol and triglyceride levels normalized and her insulin resistance vanished. The above case studies highlight 3 successful medical advocates. They each maintained a positive, never give up attitude. They did the requisite research and remained in the driver’s seat as they each took control of their health. Known as the Medical Advocate, based on my own health journey (which is illustrated in my upcoming book: FROM BOTH SIDES OF THE TABLE: WHEN DOCTOR BECOMES PATIENT), I was hospitalized emergently twice in a 19th month period for two unrelated medical issues. As a patient, I learned firsthand what I needed to do to optimize my health and well-being. Today I have a much larger quest. My goal is to help my patients and readers do likewise; by bringing in the reins and becoming their own best medical advocate. All of you can become a medical advocate. You don’t need a medical education to attain this. What it requires is the zeal to do whatever it takes, the ability to remain open-minded, while selecting a physician and medical team who supports your well-being.